The risks to any business are many and varied, but sometimes not all that obvious. There’s the risk of natural disaster bringing down the building, disgruntled employees out for revenge, poor business decisions, shoddy customer service – the list goes on. There are, however, some rather more innocuous threats that exist that may go unnoticed unless companies and their employees remain vigilant. 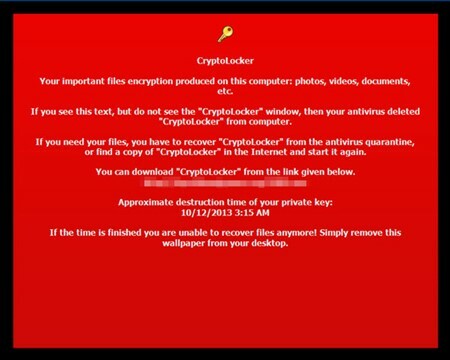 Of late, there has been a resurgence of what is called Ransomware. Whilst not a new threat, having reared its ugly head as far back as 2005 in Russia, it has again become quite prevalent over the last year. This malicious threat poses potentially business-ending repercussions for any organisation. Just like any Hollywood blockbuster thriller worth its salt, the goal of these threats is to hold a business hostage until a real-world monetary ransom is paid to the attackers. These threats encrypt all files and folders on your local machine, or entire network, making it impossible to access them until the demanded fee is paid. Even then, what guarantee is there that your files will be released once the ransom is paid? Worst of all, these threats often come in the most inconspicuous of guises. Imagine, for a moment, that you hire a new office assistant. This person is intelligent, vibrant and eager to hit the ground running, qualities your business looks for in an employee. You set them up with a phone and a workstation and off they go, organising diaries, sending emails – really getting stuck in. Then, they receive an email from an unknown source with an attached .ZIP file labelled “Invoice”. Oh well, they think, this must be important, and they open it. Suddenly, their machine is locked down and a horrid red screen is glaring back at them demanding money. Worse still, every other workstation in the office is emitting the same devilish glow as one by one the whole network becomes compromised. Whilst this may sound like an exaggerated scenario, it is actually not too farfetched. The threat of an ill-informed employee is a very potent one, but we can’t blame the poor office assistant for doing their job, can we? After all, they are exactly the kind of stand up employee you need, right? That will be of little comfort when the future of your business hangs in the balance. Be proactive, not reactive. Take the relevant preventative measures before an attack happens to you. Educate your employees about the risks of opening strange emails. The crooks are relying on the dilemma that you shouldn’t open a document until you are sure it’s one you want, but you can’t tell if it’s one you want until you open it. If in doubt, leave it out. Deploy a reliable anti-spam solution for your company emails, such as SpamExperts. Ensure you have a sturdy Firewall in place to protect against threats. Backup your data regularly and keep a recent backup copy off-site. There are dozens of ways other than ransomware that files can suddenly vanish, such as fire, flood, theft, a dropped laptop or even an accidental delete. Encrypt your backup and you won’t have to worry about the backup device falling into the wrong hands. CipherWave offers a host of Backup, Disaster Recovery, Firewall and Spam-prevention services. If your business is at risk, then contact us here to discuss the right security solution for you.